Their beginnings may be rooted in small towns surrounding the Ottawa River, but there is nothing small about River Town Saints. A 5-piece, harmony-driven group with rock n’ roll roots, Chris Labelle, Chris McComb, Jeremy Bortot, Jordan Potvin and Daniel DiGiacomo, have proven that a little heart (and a lot of work) does, in fact, go a long way. 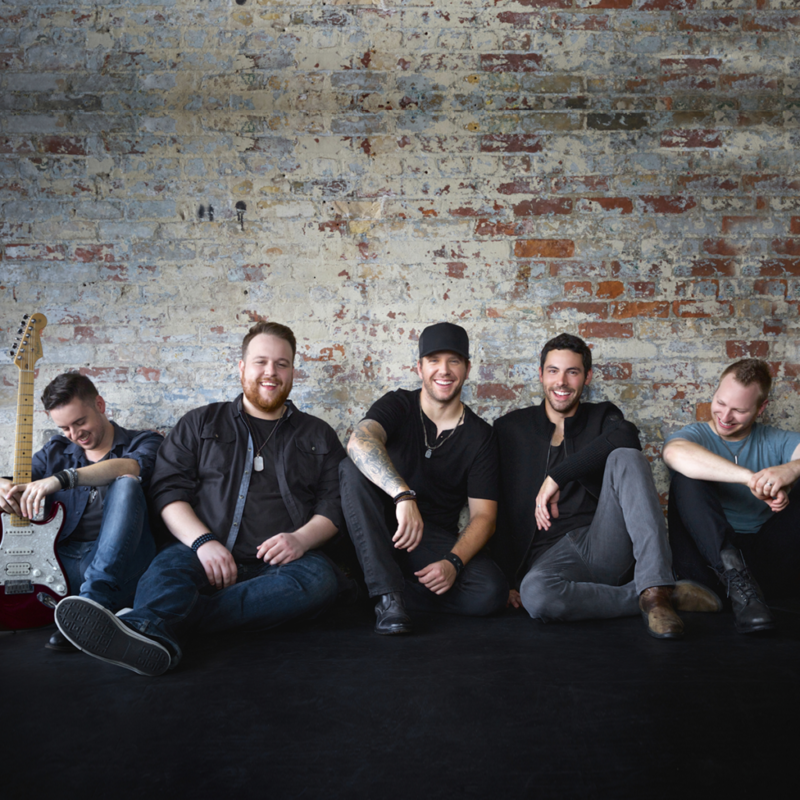 Led by the strong vocals of Chris Labelle, River Town Saint’s unbeatable energy has already landed them on stage with Tim Hicks and the front page of the Hamilton Spectator. Since signing with Open Road Recordings, the band has shared the stage with The Road Hammers and opened for Tim Hicks. This past summer saw the group on the festival circuit, impressing fans and winning new ones at Boots and Hearts in Ontario, Rock the Park in London and The Queen’s Plate at Woodbine Race track. River Town Saints released their debut single ‘A Little Big Goes a Long Way’ in late 2015, landing them on many “Artists to Watch Lists” for 2016. They released their highly anticipated second single, “Cherry Bomb” in the spring of 2016. Their most recent single, “Bonfire” is an incredibly catchy, upbeat track about friends from a small town, heading downtown to party and “light it up like a bonfire”. The group is opening for Tim Hick’s Shake These Walls tour dates in 2017.